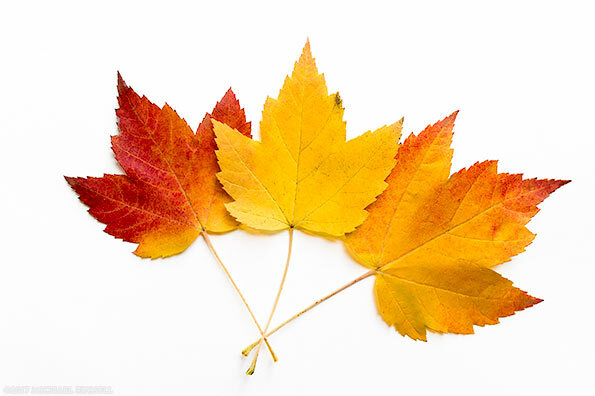 Sugar maple (Acer saccharum) leaves showing fall foliage colours on a white background. Fall is one of my favourite times of the year, and certainly my favourite to photograph. I know I’ve previously expressed dismay at having a year where the fall foliage was dull or almost nonexistent. I’d say that 1/5 years is a good fall foliage year here, at least for native species. Mostly that is Bigleaf Maples (Acer macrophyllum) and Vine Maples (Acer circinatum) in the Vancouver area and Fraser valley. The leaves above are from a backyard Sugar Maple – a tree that can be counted on for decent leaf color almost every year (even in the rain). In mid-October I started to think about the fall foliage – a point in the season where one doesn’t know if it will be good color at all. Even if it is, often rain will fall constantly until the leaves are on the ground. 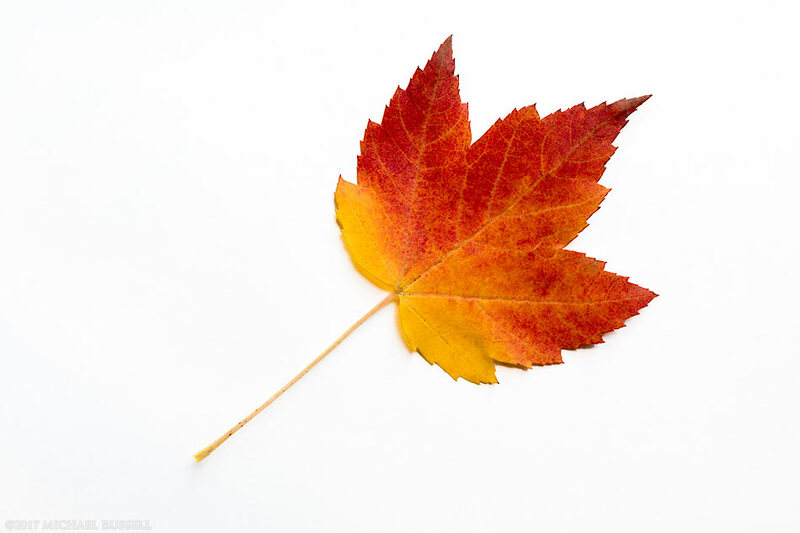 As I’ve had experience with this before – I photographed these leaves on a white background one rainy day just so that I could say for sure that I’d photographed some decent color. Luckily for me and everyone else around here who enjoys such things, this was a rather good year for fall foliage. I was able to photograph much of it without any interference from the rain (see a number of my recent posts) which was an added bonus. For more photos of fall foliage visit my Fall Gallery.